Nestled along a quiet block on West 19th St. in Chelsea, Tebaya is a great spot if you're craving some good, quick Japanese style fast food on the go. Tebaya is known for their peppery and nutty wings since they're generously topped with black pepper and sesame seeds. 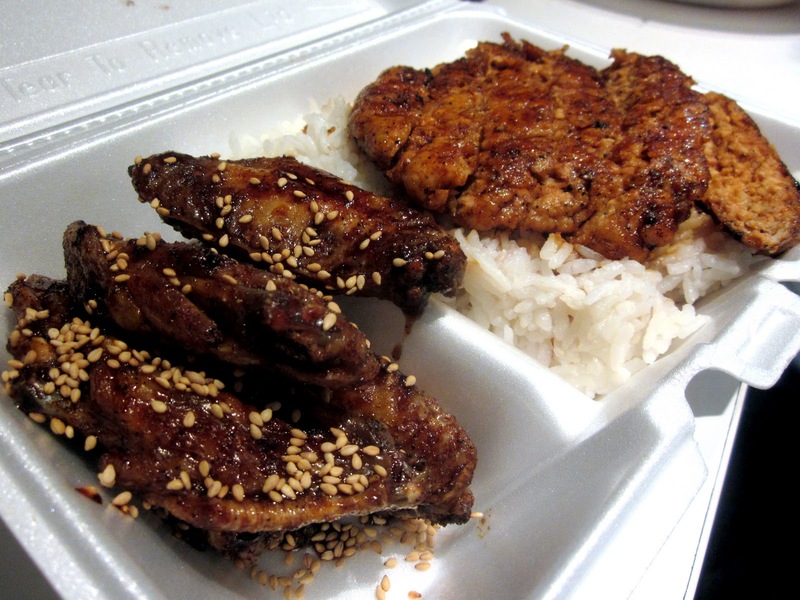 Tebaya also has other Japanese fast food staples such as Chicken Teriyaki or Chicken Katsu (fried cutlet). Their usual combos run around $10, and come with rice, a side salad and a side of five wings (yes you read that correctly A SIDE of five wings), which is pretty cool. They do have smaller portion lunch specials for around $7. You can check out the full menu HERE. We went at dinner. 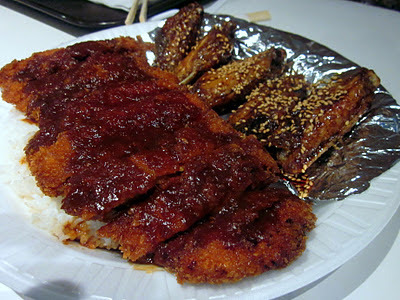 Here's the generous chicken katsu combo, with wings. It's hard to see, but it's served on a bed of rice. grilled and sliced. It also comes with five wings. 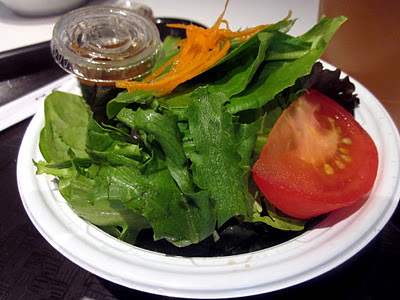 The lunch meals or dinner combos come with a side salad...not to shabby! Just know that there is very limited seating, it's more of a takeout place and I'm sure is busy during lunch. We went on a quiet weeknight and were able to easily snag a seat.